July 30, 2015, Hanford Calif. Summerhill Goat Dairy today announces the launch of its newly redesigned website,www.summerhilldairy.com.Fully responsive, the site matches the recent re-branding of Summerhill Goat Milk, and provides visitors with a user-friendly platform for learning more about the dairy and the benefits of goat milk. 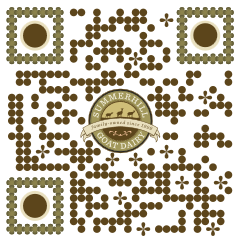 Located in the heart of California’s Central Valley, Summerhill Goat Dairy is a family farm founded in 1999. Starting off with just a small heard of goats, the dairy now provides goat milk for retail sale in the Western half of the United States. Current retail partners include Trader Joe’s, SaveMart, Jimbo’s, Mother’s Market, Sprouts, Lassens and Whole Foods,as well as a host of independent health food stores. Visitors may navigate through the new site to learn more about the product, download homemade, exclusive recipes, and find a store nearest them with Summerhill Goat Milk.